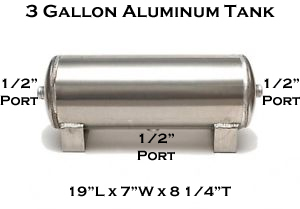 Our 3 gallon aluminum air tank is just what you need if space is limited. 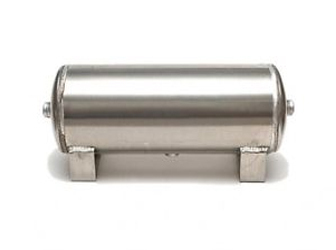 This tank will fit nicely in any car's trunk or even behind the seat of most mini-trucks. The multiple port design allows for several configurations when installing your air line, pressure switch, or compressor feed line. Made of aluminum so rust will never be an issue! Other sites charge $108.99 for this air-tank! You Save $29 by shopping with us!